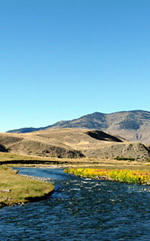 Is it possible to find trout-fishing solitude in a popular destination like Yellowstone National Park? You bet. This week Phil Monahan suggests a few spots — some requiring hiking and others not far from the beaten path — that are almost guaranteed to give you breathing room.